Everyone loves a bargain, especially when the cash is a bit tight. Although many people are worried about investing in property at the moment, in fact, there couldn't be a better time if you have a bit of cash to spare, as so many fabulous properties are currently on the market at reduced prices, some massively so! You can make the situation work in your favour and find yourself the proud owner of a super property for far less than you would pay in a more certain world! 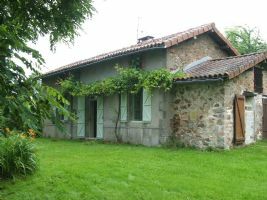 This little house comprises a lounge with wood burner, a bedroom, a kitchen and a bathroom. There is an attic which can be used for storage, and there is a storage area for wood. The garden of 4794m² is all around the house and would be wonderful to create a vegetable garden, a flower garden or an orchid. 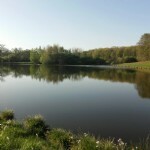 The property is in a quiet hamlet not far from Chabanais which has all amenities. Stone building, partly liveable, partly to renovate. 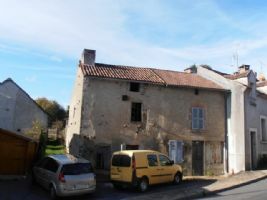 9.500 m2 of land!The liveable part is completely separated from the part to renovate, therefore one can live there comfortably during the rest of the house will be renovated. There is a hall (8 m2), dining room - living room (19m2), small kitchen, 3 bedrooms (11m2, 8m2, 9 m2), bathroom with shower, bidet in wash-hand basin (3m2), separate toilet and storage room. A liveable space of appr. 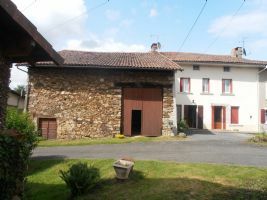 Situated in the centre of a quiet village, yet only 5 minutes drive to the nearest shops, this solid house, barn and outbuilding would make a lovely family home without the pressures of too much land. 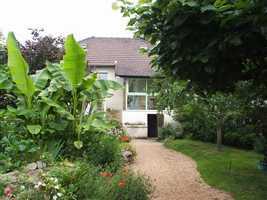 The secluded back garden is accessible from the lounge and from a door in the back of the huge barn. 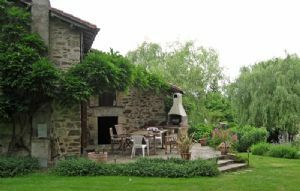 There are the features of exposed stone, high ceilings and parquet floors, 4 bedrooms, 2 shower rooms with WCs, one up, one down and a kitchen diner with chimney and 10m² cellar. Nothing reminds you of the shabby cottage this once was, it has been turned into a villa with downstairs a kitchen with dining area, 2 reception rooms, one with a log burner, and another room, and upstairs 4 spacious bedrooms, one with en suite, and a family bathroom. Of course the house has doubling glazing throughout, a new septic tank and gas central heating. 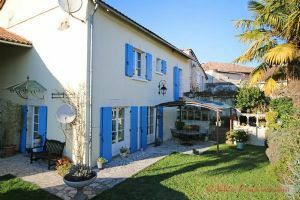 Formerly the village bakery and still boasting an intact, original bread oven, this charming village house (with a colourful history linked to the French resistance fighters) is presented to a very high standard. 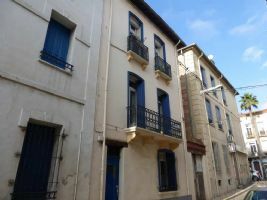 It has been renovated completely and needs no further work just move in and enjoy life in this tranquil French village. 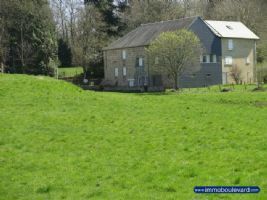 In addition to the four bedrooms and three bathrooms, it has a large attached barn providing covered parking for two or three cars or even a camper van. 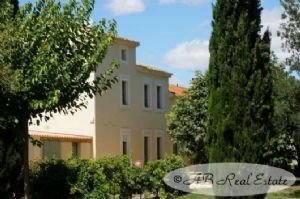 This large property from the 19th century is located in Languedoc Roussillon in the Narbonne area, close to a village with all amenities, restaurants and cafés. The house has been totally renovated in 2006 and features modern elements like electric shutters, reversible air conditioning, remote controlled gate with video and alarm system. The beautiful pool area with the huge pool house and terraces gives an idea of the dimension of this property. 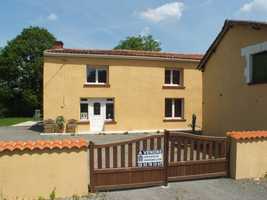 If your dream home wasn't here, never fear, there are many, many more on the market at reduced prices all over France. It's a buyer's market at the moment, which is not so good for the sellers, perhaps, but fantastic news for those of us seeking fabulous properties at lower than usual prices. Make the most of it!